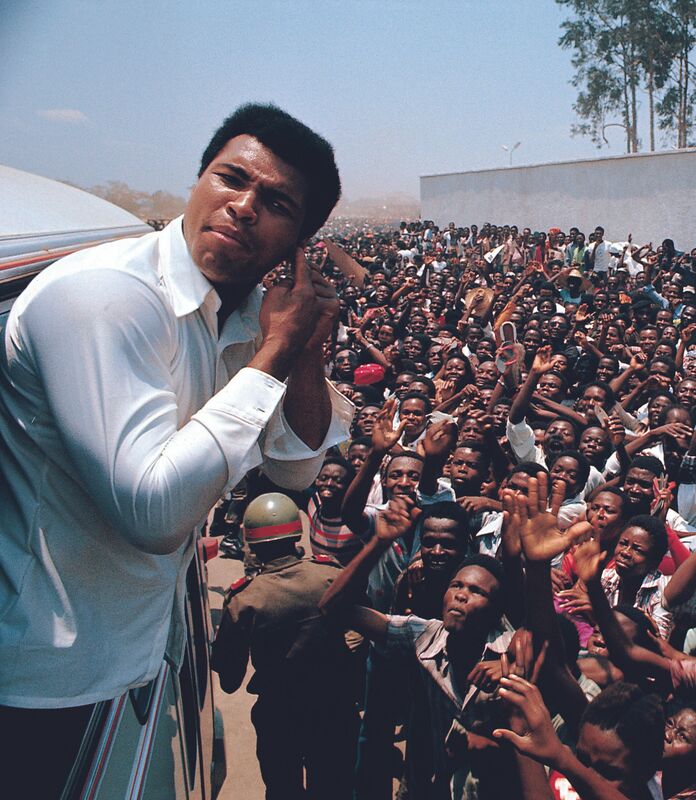 When Muhammad Ali and George Foreman squared up in Zaire in October 1974, the press pool in attendance was almost as well-known as the men they’d come to cover. George Plimpton, the Paris Review founder, watched from the front row for Sports Illustrated. Hunter S.Thompson, on commission from Rolling Stone, missed the bout entirely, choosing instead to get drunk in the pool. 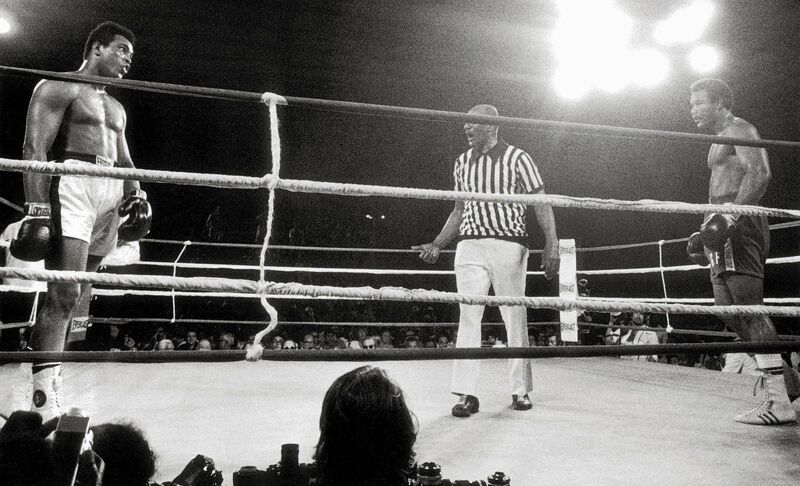 But Norman Mailer’s account, published a year later as The Fight, is the seminal account of perhaps the greatest contest sport has ever provided. That was partly thanks to Mailer’s own pugnaciousness – an amateur boxer, he was as keen with his fists outside the ring, with a propensity for offering half the bar outside once he’d had a few. Not an admirable characteristic, but one that did enable him to paint the fight with an insider’s eye, to unlock the drama in each punch. But for all the power of his words, they work best when paired with pictures. 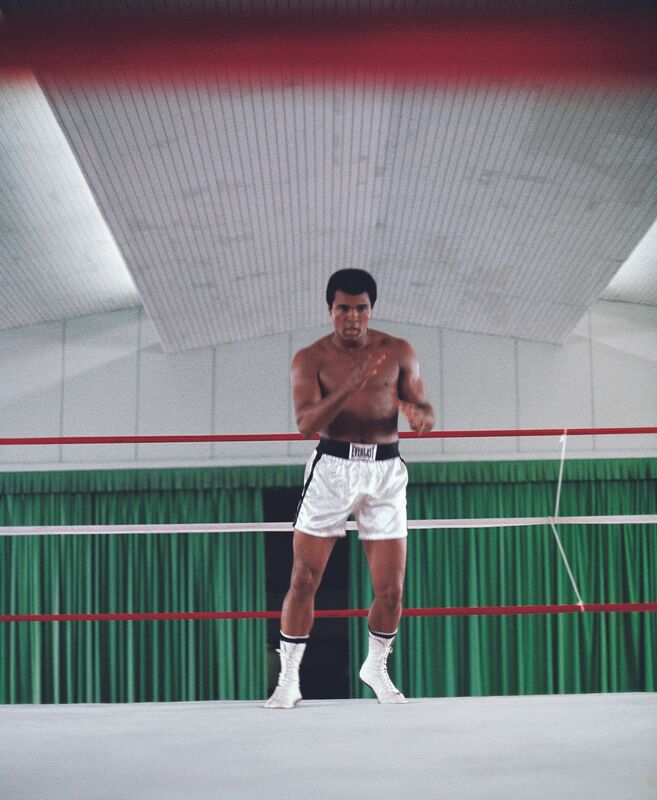 Particularly when those images were shot by Muhammad Ali’s confidant and personal photographer, Howard Bingham. Ali passed away in June last year; Bingham sadly followed in December. On the morning of the day he died, Bingham had received the first copy of his new book with Taschen, an abridged copy of The Fight in which Mailer’s account sits alongside the photographer’s for the first time. Bingham had met Ali when he was still Cassius Clay, in 1962. The pair’s immediate bond became a 50-year relationship, during which Bingham shot almost a million photographs of The Greatest. He had unrivalled access to Ali before, during and after the fight which, paired with Mailer’s own – the hard-drinking 52-year-old even accompanied Ali on an early morning run through the bush, and almost kept up – affords an intimate and revealing portrayal of a fighter who worked as hard on his myth as his technique.